Frol Romanovich Kozlov (Russian: Фрол Рома́нович Козло́в; 18 August [O.S. 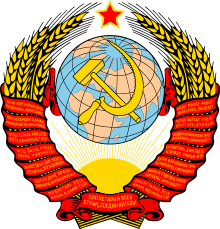 5 August] 1908 – 30 January 1965) was a Soviet politician, and a Hero of Socialist Labor (1961). Kozlov was born in the village of Loshchinino (Russian: Лощинино), Ryazan Province. 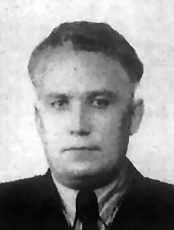 Between 1953 and 1957, Kozlov was the first secretary of the Leningrad Oblast CPSU Committee. He was elected a candidate member of the Presidium (as the Politburo of the Central Committee of the Communist Party of the Soviet Union was then called) on 14 February 1957 and served as a full member from 29 June 1957 until he was relieved of his duties on 16 November 1964, following the ousting of his mentor, Nikita Khrushchev, a month earlier. In July 1959, he visited the secretive Bohemian Grove encampment in northern California. For many years, he was considered Khrushchev's likely successor  but even before his mentor's removal from office, Kozlov's position had been undermined by the effects of his alcoholism; in the spring of 1963 he was replaced by Leonid Brezhnev as Secretary of the Communist Party Central Committee. At the time of his removal, Kozlov had already suffered a stroke, and he died shortly after his removal from office. He was buried in the Kremlin Wall Necropolis. ↑ Справочник по истории Коммунистической партии и Советского Союза 1898 - 1991 (in Russian). knowbysight.info. Retrieved 15 August 2014. ↑ "May - June 1959: Visit to the Soviet Union of W. Averell Harriman". U.S. Department of State. 26 June 1959. Retrieved 26 May 2010. ↑ Lisa A. Baglione (31 December 1998). To Agree or Not to Agree: Leadership, Bargaining, and Arms Control. University of Michigan Press. p. 45. ISBN 0-472-10930-8. Retrieved 28 October 2014.